Good morning brothers and sisters. We greet you in the name of our heavenly father. 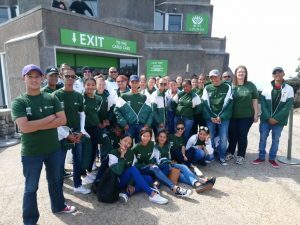 Yesterday 3 October 2018 an unfortunate event had occurred where a group of young students from Steinkopf along with their leaders were robbed at gun point at our camp site (Beth–el camp site), of whom were some URCSA members. We are happy and grateful to our father to report that no one was harmed in anyway; just the students’ personal belongings were taken. We as the church office then proceeded to council everyone that was part of this occurrence with the help of our tenant, social worker, Candice Warner. We have offered to replace their valuables which were taken. We are pleased that they have arrived safely back home. Contact at youth@vgksa.org.za for more information.